niche for investors. There is an interesting dynamic happening in some Chicago neighborhoods. Condo prices are relatively low and rental prices are relatively high. This creates an excellent opportunity for investors. Today I will look at the Bronzeville neighborhood in detail. investment potential because of this very dynamic. I have helped investors purchase condos in this neighborhood. I have also helped many tenants rent condos in this neighborhood. So the next logical step for my business is to provide a complete solution for investors. I will help with the purchase of a condo and provide assistance all the way through finding a qualified tenant to move in. This is a turn-key, A to Z, solution. So today we will look at two case studies. Which is more profitable: a 2 bedroom condo or a 3 bedroom condo? 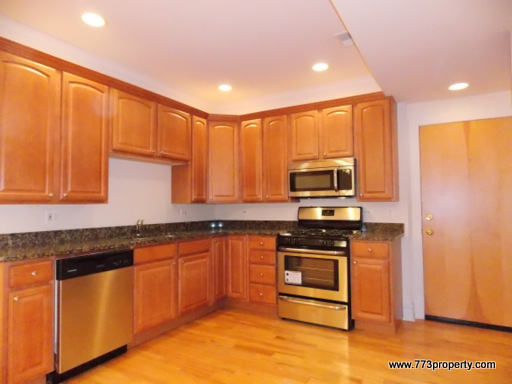 A three bedroom two bath condo was recently purchased in Bronzeville near King Drive and Oakwood. It is 1,475 square feet. It has hardwood floors, a fireplace, and it comes with a parking space. It was purchased for $67,000 and it was in move-in condition. The property was purchased by a cash buyer. like our subject property, I can get it rented in about 30 days. You should have low turnover because Bronzeville is in demand by renters. At $1,500 per month, the gross scheduled income is $18,000 per year. Next, we will look at expenses so that we can figure out our Net Operating Income (NOI). This gives us a Net Operating Income of $7,694. capitalization rate (cap rate) is 11.5%. your cap rate in this case will equal your return on investment. This investment will pay for itself in just under 9 years. Now let’s look at our 2nd case study which is a 2 bed/2 bath condo in the same neighborhood. A 2bed/2bath condo was recently purchased near 48th and Vincennes. It is a 950 square foot condo. It was purchased for $42,000. This one was also purchased by a cash buyer. This was rented about a month later for $1,250 per month. our Net Operating Income (NOI). This gives us a Net Operating Income of $7,324. than what a 3 bedroom condo yielded. But, the purchase price was $25,000 less! So all you Bronzeville Chicago condo investors out there, I just revealed something quite valuable. You will get a better return on your investment by purchasing two bedroom condos instead of three bedroom condos. But, back to my analysis. Look at the yields for our 2bed/2bath investment condo. At a cap rate of 17.4%, this is an outstanding investment. This condo will pay for itself in less than 6 years. Investing in condo rentals can be very profitable. Our 3bed/2bath purchase gave us a respectable yield of 11.5%. Our 2bed/2bath purchase knocked it out the park with a yield of 17.4%. Imagine if you added 5 of these condos to your portfolio. (assuming you paid cash). Not bad at all! Remember, I can offer you a turn key solution, from purchase to rental to positive cash flow! This entry was posted in bronzeville, Chicago Real Estate, Chicago Rehab, Chicago Relocation, condo, Grand Boulevard, Investment properties, Investment Property, real estate analysis and tagged cap rate, chicago cap rate, chicago investment condo, investment condo. Bookmark the permalink.